What is the first thing many people do when they drop their dough on a fancy new iPhone? Buy a case. Why spend all that money on a device if you are going to carry it around with you willy nilly, open to all the hazards of everyday life? Well, for all of you out there who haven’t thrown down the money for a case, then you will be pleased to know that the new Bounce case is available for purchase, in perfect time for the holiday season I might add. Bounce, for those of you who don’t know, is the stylish new radiation-reducing collection of smartphone cases coming from Case-mate. The company, known for their innovative accessories which protect, adorn and enhance smartphones, have developed the Bounce case in partnership with Pong, a global leader in technologies that protect people from radiation exposure. The Bounce case is available in a plethora of different colors and is made of patented technology that “bounces” (see what I did there?) radiation away from the person using their cell phone. These cases have been through rigorous testing by the FCC in which they proved to redirect 60% of normal cell phone radiation as well as 85% of hotspot radiation away from users while still being able to maintain a full wireless signal. Bounce features a number of innovative features like: a paper-thin internal circuit board that deflects away from the user at least 60% of constant radiation and also redirects 85% of hotspot radiation, a variety of colors including pink, green, black and gray, a sleek design and ground breaking radiation-reducing technology, FCC-certified and impact resistant. 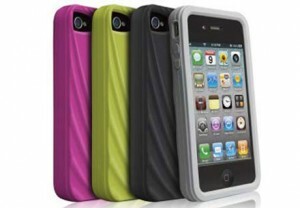 The Bounce case is available now for the iPhone 4 and will soon be available for the BlackBerry 8520, 9650 and 9700. You can pick up your Bounce case from case-mate’s website for a $49.99 price tag and as a bonus Case-mate is throwing in a free screen protection kit. A Laptop Rental is perfect if you are hosting a classroom training session or are simply headed to another convention. Rentacomputer.com has been offering quality laptop rentals for over 20 years to more than 1000 cities worldwide.